Beauty Blog by Angela Woodward: Should I use Dish Soap in my hair? This is seriously one of the biggest myths ever! NEVER wash your hair with dish soap. This is often used in place of a clarifying shampoo. 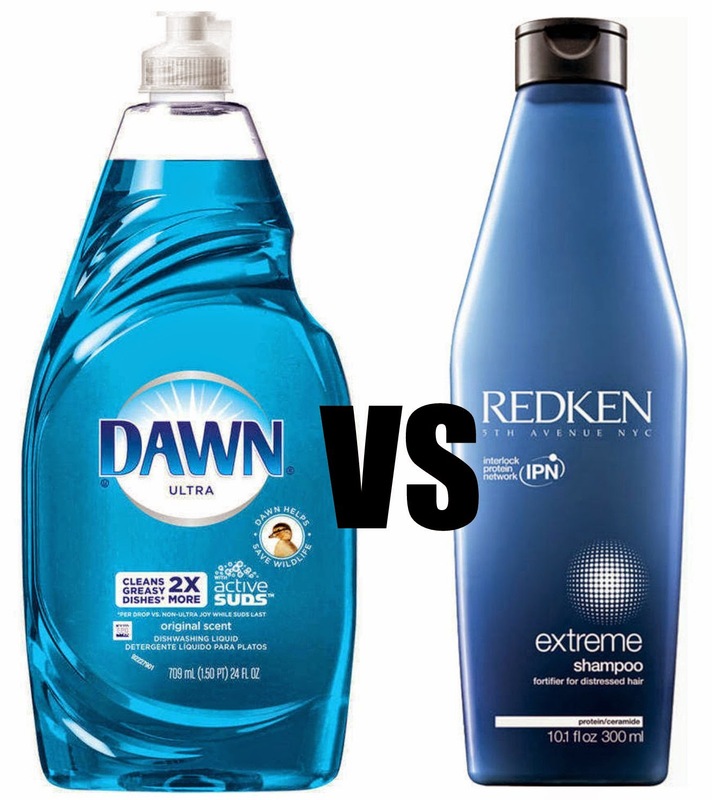 A clarifying shampoo is a stronger shampoo that specializes in ridding your hair of product buildup and is not recommended for those with color treated hair. It is however good for people who only wash their hair once a week. Most of the time clarifying shampoo is used in salons before getting a perm, Brazilian Blow Out or other special chemical treatment. The reason that people have said to use dish soap instead is because it is super powerful at cutting through grease and oils. But it has no conditioning properties and will dry your hair out faster than you think! It is especially harsh for those who go blonde. The only time I think it is okay is if your child has put Vaseline, Peanut Butter, or something like that in their hair. If it is all over wash their hair with dish soap and professional hydrating conditioner. If they only put it in one area, lather that area with the dish soap, rinse it out and then wash the hair with professional shampoo and then conditioner.